Are you looking for a REALTOR who listens? Look no farther than Sandra Locascio and those who know her. 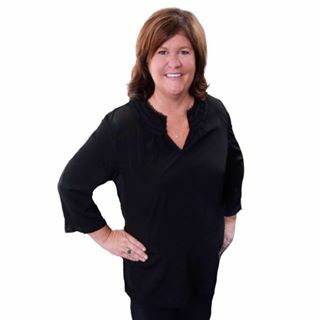 While all of the skills and knowledge employed in handling a real estate transaction are vital to success, Sandy believes the first step in helping either a buyer or a seller is to understand their needs, wants and desires. That requires listening, asking the right questions, and of course - providing clear and honest answers to their questions. In other words, good communication. Sandy is especially tuned in to helping first time buyers, because she remembers what her first experience was. She understands what first time buyers don't know - and what they need to know - as they begin the process of becoming homeowners for the first time. She also appreciates the opportunity to assist those who are relocating to the Lake, Cook, DuPage and McHenry counties. She has the knowledge and resources to share everything from neighborhood and school information to details about city services. Sandy's enthusiasm for the area is contagious. In her eyes, the Chicagoland suburbs offer the best of everything. Big city amenities combined with suburban and small town atmospheres. Communication has always held a primary position in Sandy's professional life. Prior to being a realtor, Sandy worked in the medical field. She loves working and helping people. She says the best times are when she could make difference in the community and reach out and help someone in need. Today Sandy, makes a difference and gains personal satisfaction from helping her clients reach their dreams of home ownership - or of selling and moving on to life's next adventure. At the heart of Sandy's real estate practice you'll find Dedication, Determination, and Dependability. She's DEDICATED to her clients, Determined to meet their needs, and Dependable whenever they need her. When not helping buyers and sellers, Sandy enjoys cooking and spending time at home with her husband, her son and daughter, and 3 rescue dogs.